Greetings from Nhulunbuy, where I am fortunate to live and work in this idyllic part of the world. My journey with One Disease is in its infancy stages having only joined the organisation in November 2018. The East Arnhem region comprises not only the Nhulunbuy Township, but also thirteen remote communities accessible by light aircraft or unsealed roads. This geographical distance does make regular visits to these communities more difficult, and also sees a high turnover of clinic staff. That said, we have forged wonderful working relationships with stakeholders in this region who embrace educational opportunities pertaining to skin health and Crusted Scabies and scabies. These relationships with clinicians and other organisations are paramount in ensuring clients receive high quality care and with cultural appropriateness. As the only employee for One Disease in East Arnhem, visiting all organisations and clinics each quarter is not always possible. That said, so far this quarter I have visited Numbulwar community, numerous external stakeholders, local clinics, daily visits to the hospital and have organised an education session at the school, oral health provider and Ramingining community. I am enjoying learning about the role of other organisations within the community, and how we can partner together to deliver high quality education and care for our clients. I believe that working with local indigenous health workers is also paramount in ensuring potential language barriers are minimised, and that messages are conveyed in the most appropriate methods to capture the target audience. I feel fortunate to be part of such a wonderful community, and I look forward to what the remainder of my year with One Disease will bring. Empty Shelves - Every now and then if the barge or trucks don’t get in or there’s any transportation issues we can go several days without – in this instance it was meat. What is your main role at One Disease? My main role is introducing the One Disease Elimination Program to local services and providing education on detection, diagnosis and treatment of Crusted Scabies and the importance of a long-term plan to prevent recurrences. To date, I have reached 19 services and 172 individuals. My work stretches to Tennant Creek and Barkly. Can you tell us about some of the successes you have had? My proudest moment was being involved with the One Disease Healthy Skin Symposium in Alice Springs in November 2018. Day to day successes are dispelling myths around scabies and spending time with clients to help improve their journey by providing education and support. What are one or two things about Alice Springs or the people who live there, that you would like to share? The Arrernte (pronounced Arrunda) people are the traditional owners of Mparntwe (pronounced m’barn-twa) – the Alice Springs area. There are 6 main Indigenous languages in Alice Springs, for many this is their first language. There are 18 town camps (Aboriginal communities within town), and many remote communities. Arrernte stories describe how the landscape surrounding Alice, including the MacDonnell Ranges, was created by the actions of their ancestors, the caterpillar beings Ayepe-arenye, Ntyarlke and Utnerrengatye. 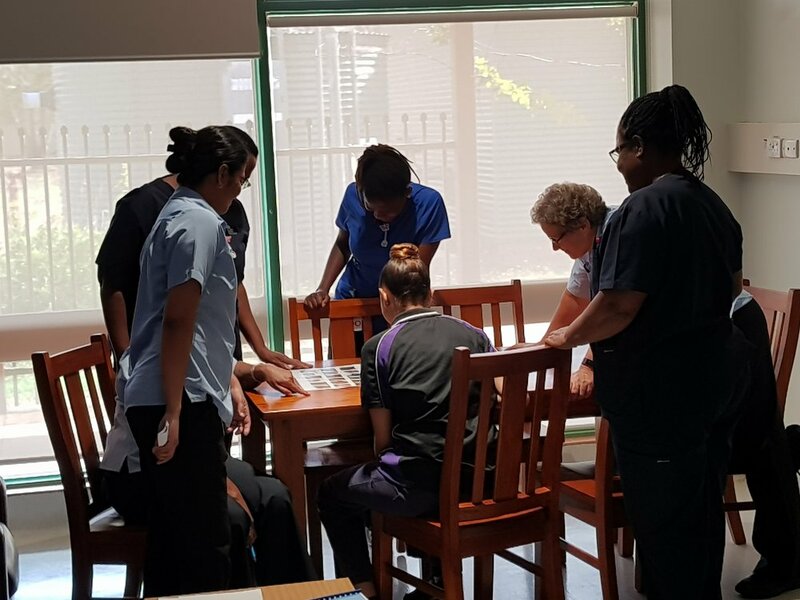 Over the past few months, One Disease staff - Hannah Woerle and Geneveive Dodds have made several trips across to Western Australia to continue conversations with interested stakeholders. 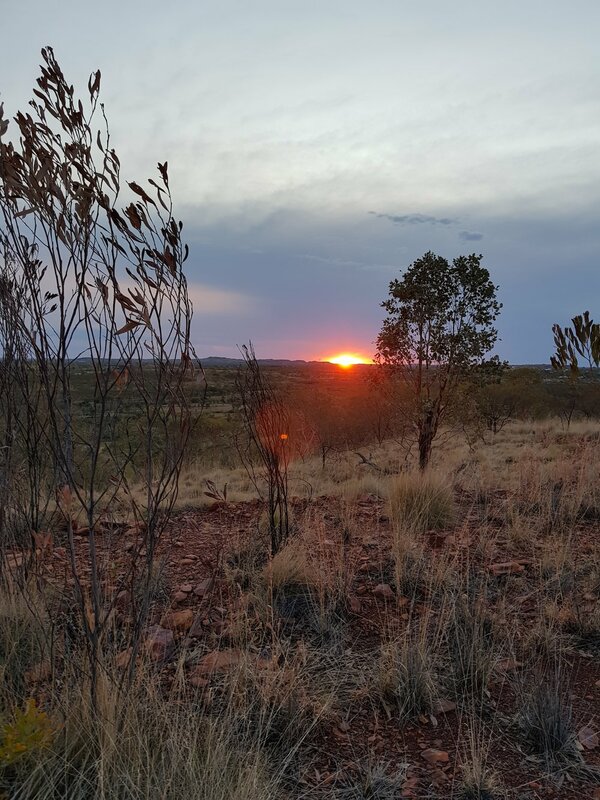 We are currently working in the Kimberley and Pilbara regions and have had engagement with the Perth City, Great Southern and South West regions. What does our engagement look like? Engagement has included education sessions and discussions around prevalence/perceptions of scabies and Crusted Scabies prevalence in the regions. We have performed baseline Crusted Scabies audits of clinical files in some clinics to feed back information to services regarding any cases of misdiagnosis. Current challenges include geographic distribution of services whereby many staff travel extensively and therefore are hard to contact all together. Similarly, travel to areas can be time-consuming for our staff. Competing priorities in services are always an issue regardless of location. Nullagine, located 296 km south-east of Port Hedland. Who have we been engaging with? WA Country Health Service sites, Aboriginal Medical Services, government agencies, private practices and Aged Care facilities. Everyone has been welcoming, excited to hear more, very engaged in education sessions and keen for more information. Services have actively asked for assistance with file audits and ways in which to improve their service delivery regarding skin health. Additionally, we would like to have provided on-site education or weblink conferencing education, to services in at least the Kimberley, Pilbara, Mid-West and Goldfields regions. Have offered at least one round of 20 grants for the small grants scheme across the WA regions. This scheme funds projects that aim to create Scabies Free Zones within community. One Disease are hosting a full day Healthy Skin Symposium which, excitingly, will bring together representatives from northern Queensland to share knowledge and experiences.